As I sorted through some photographs of my organic country garden today, I was spellbound by the pictures of flowers and greenery, looking forward to the Summer time, when all will be in bloom once more. Amongst my photographs of a July past, I came across this picture of a beautiful rose, which was growing amongst a tangle of overgrown shrubbery and white rambling roses, in our present garden when we arrived here. 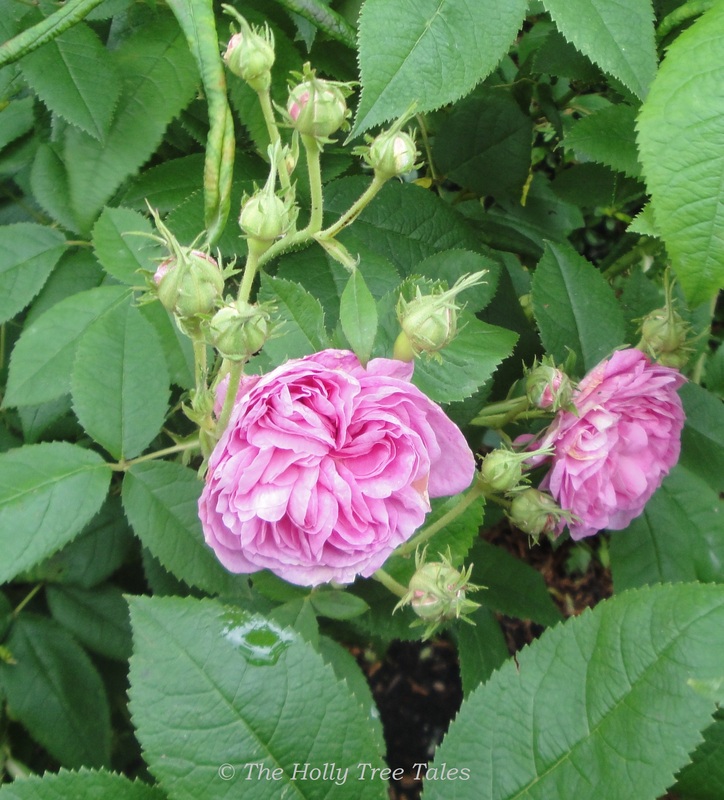 It is a really lovely rose, with arching stems and fresh green foliage, the most gorgeous double flowers and an enchanting fragrance. I have no idea what this rose is called, but hope to discover its name one day. While I watch and wait for the warmer months, it is wonderful to be able to look at such images … and know that soon the roses will be in bloom once more. For those of us in the northern hemisphere, who are just coming out of the long, cold, dark months of Winter dreariness, Summer cannot come too soon. A beautiful rose without a name.